For fast and furious brainstorming, a flipchart is often the best solution. Simple, but not ordinary, Relvãokellermann’s design offers enough space for ideas. It consists of three panels, whose horizontal one can be used as a shelf for pens and tools, while bracing and securing the structure. 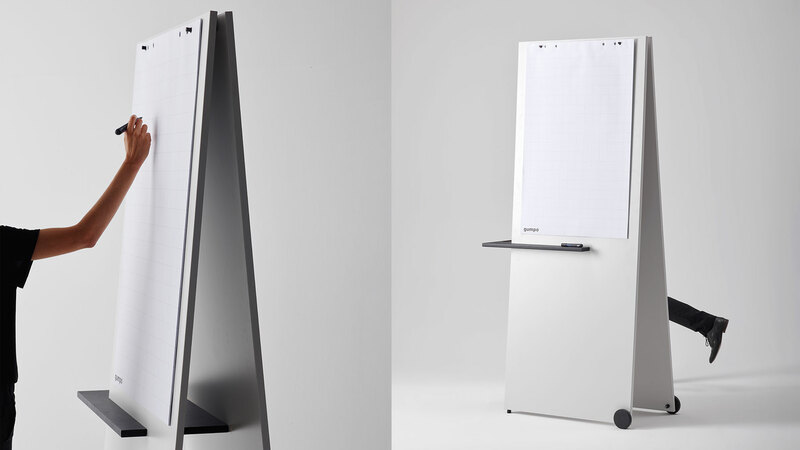 Due to castors, the flipchart can be easily moved.